British racing green blended with decadent gold. 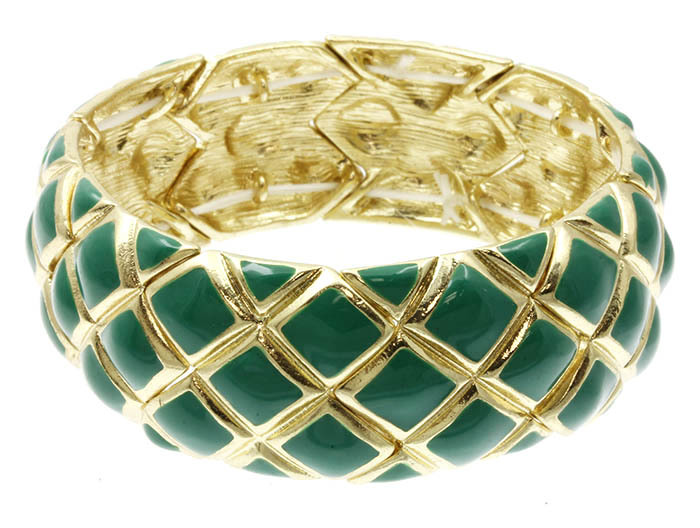 The Ivy Bangle Bracelet on stretch slips on comfortably for total glamour worthy of even the Queen of Fashionista’s. Shopping for online jewellery Australia has never been so easy. We hope you enjoy browsing our extensive ranges.